I'm going to begin this post by assuring you all that I am in no way a health expert, nor a healthy person. I am a bonafide chocolate addict. I love nothing more than a huge slice of gooey chocolate cake. However, over the last few months I've been finding ways to incorporate fruit into my diet, without having to completely abandon my precious chocolate. 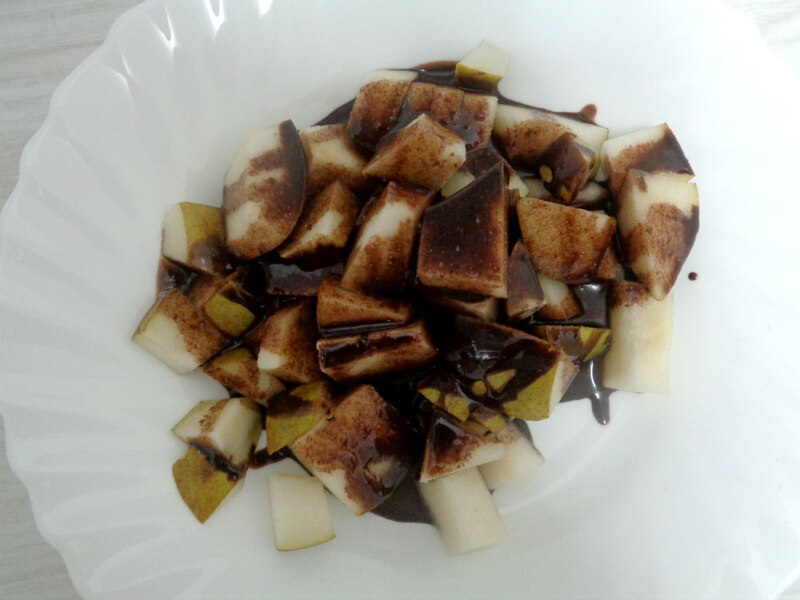 My favourite fruit, and I've discovered the perfect partner to chocolate (how convenient) is a juicy pear. I love them the most when they're still a little crispy, and not completely soft. I have two yummy recipes for those sugar cravings when you want to be feel a little better and much less guilty. 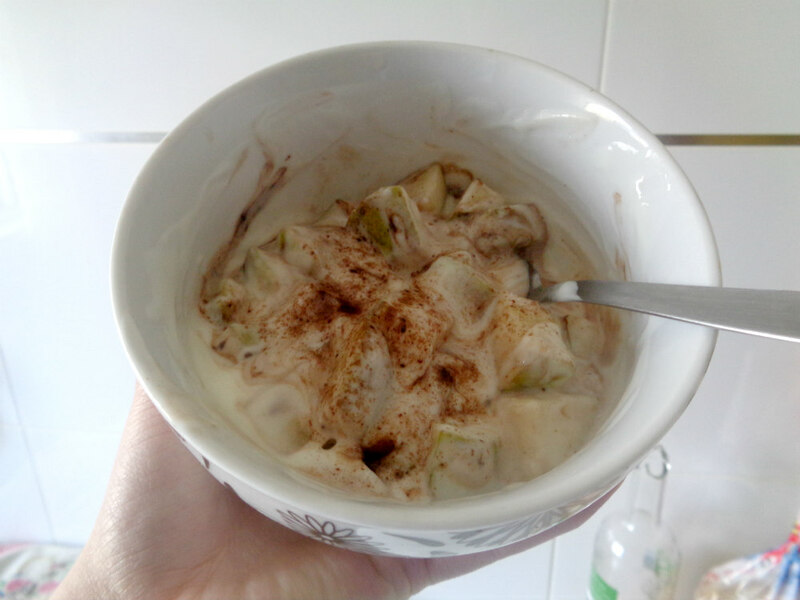 And all you will need is some cocoa powder/melted dark chocolate, a little honey and natural yoghurt! Some could see this as the laziest easiest recipe ever. 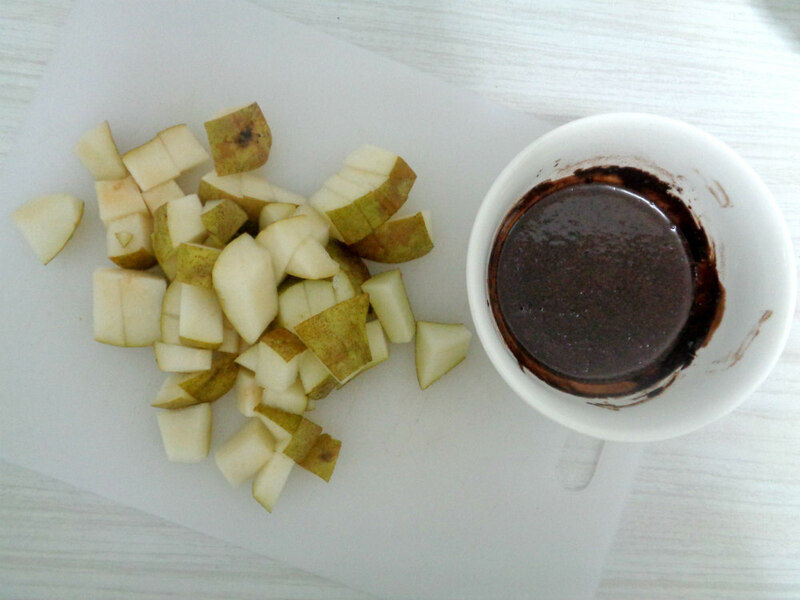 Chop up your pear into lots of little pieces, place in a pretty bowl, mix in the yoghurt until smooth, and then sprinkle in or drizzle in some chocolatey magic. I find this satisfies my sugar cravings well, and boy do I get them badly! For an extra sweet kick, swirl in a little honey. This rich and velvety sauce is seriously easy to make. 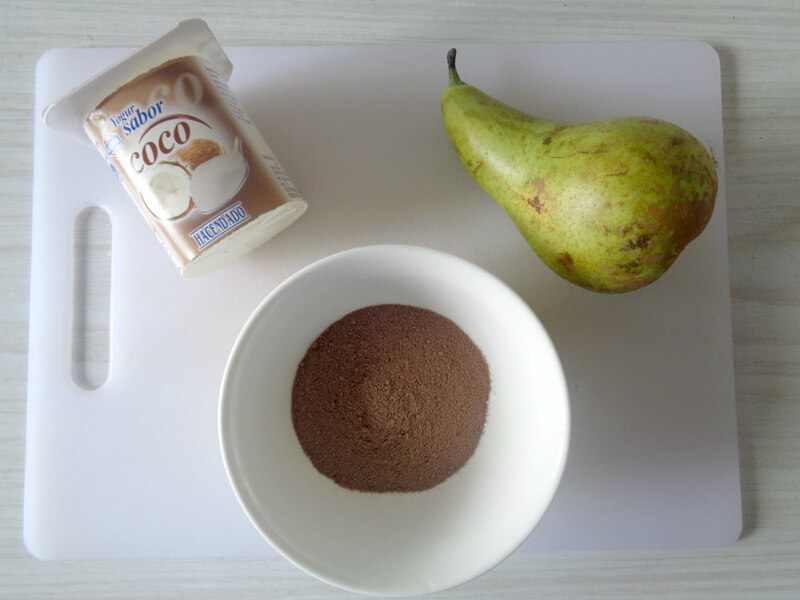 Fill a bowl or cup with 3 or 4 tablespoons of cocoa powder. Add 1 tablespoon to the powder gradually, adjusting accordingly until the sauce is drizzly but slightly thick. Add in half a tablespoon of honey and you're good to go! This is a wonderful healthier treat for those like me who would much rather devour a big slice of chocolate cheesecake finished off with a mountain of cream. It's a much better choice. As before mentioned, these are hardly the healthiest substitutes in the world. They're not going to change your life. But still, a healthier option is always better than the UNhealthiest option. Enjoy fellow chocolate addicts. What healthier snacks do you love?